Measure your dog for the correct muzzle size. 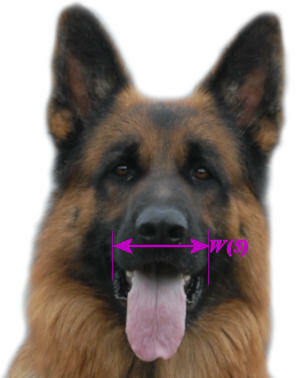 Start at the eye of the dog and measure down to the tip of the nose to get an accurate muzzle length. To measure for the proper circumference, start one inch below the eye and measure all the way around the nose of the dog. For proper muzzle fit, you must add length to each circumference measurement. An addition of one-fourth of an inch to half of an inch is required for a small dog. Large dogs require an additional half inch to one full inch. Special muzzles made of mesh material are available for dogs that have short noses. Know the types of muzzles to from which to choose to select the best muzzle for your dog. The two main types of dog muzzles are the basket type and the occlusion type. The basket type of dog muzzle allows the dog to pant freely and drink water at will. Basket muzzles are good for long-term use when the dog is outside. The occlusion dog muzzle keeps the mouth of the dog completely shut. Advised for short-term use only (because it doesnt allow the dog to pant or drink at will) an occlusion muzzle may be necessary when a dog needs to visit a veterinarian. Choose the material you prefer for your dog muzzle. 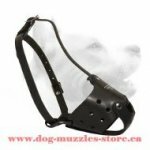 Dog muzzles come in a variety of materials that vary in price, aesthetic appeal and price. 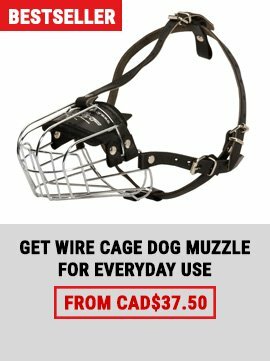 Basket dog muzzles come in heavy-duty wire (the choice preferred for aggressive, untrained dogs), leather (strong, attractive and expensive) and plastic (affordable and a good choice for less aggressive dogs.) There are also nylon dog muzzles that provide a soft muzzle for your pet. 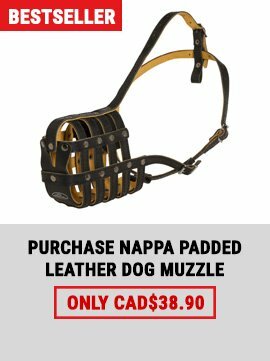 Shop for dog muzzles at a reputable www.dog-muzzles-store.ca. 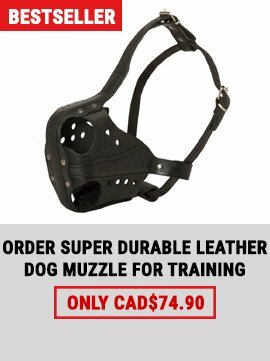 Stores such as Dog-muzzle-store.com offer a variety of dog muzzles that you can try on your dog to ensure proper fit and comfort. Professionals are available to answer your questions and to offer suggestions based on the size and temperament of your dog.